It takes two to make a meeting, at Alternative we understand that everybody’s tastes are different. The personal business lunch can be made to suit any individual requirements and is delivered locally for a minimum of two people.Catering doesn’t have to be for a large meeting we understand the importance of impressing a visitor. 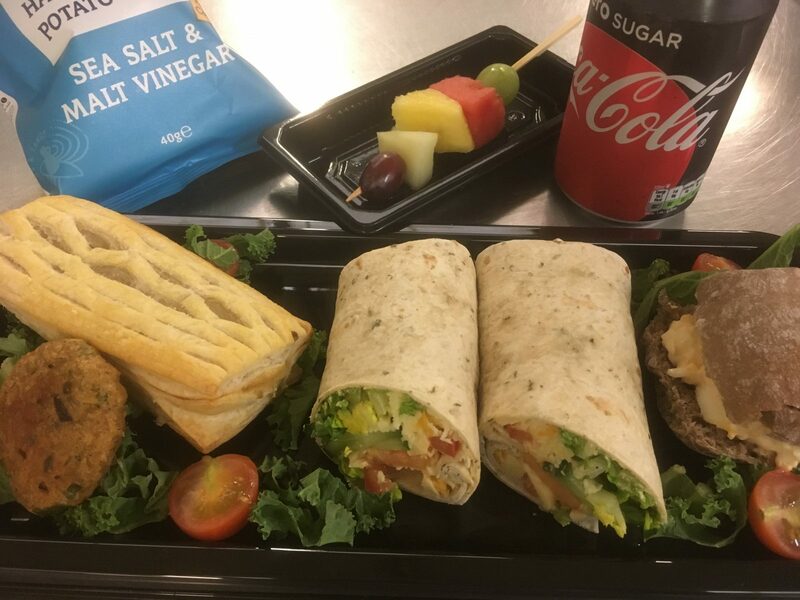 Includes the following – a mix of sandwiches, wraps and rolls freshly filled with chef’s vegetarian speciality fillings, crisps, a selection of vegetarian savouries and halloumi and pepper skewers. Soft drink choice of can or bottled water (please use drop down arrow to select).